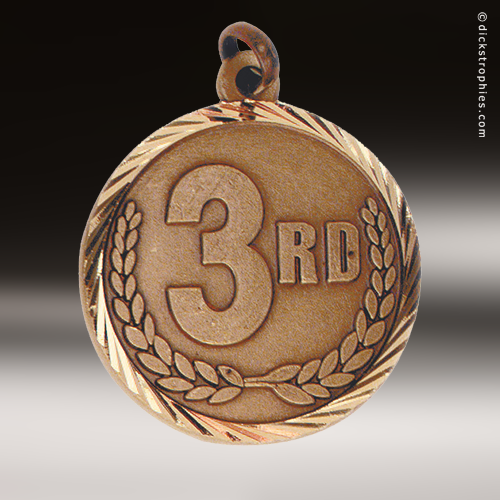 The budget friendly price point on these 3rd place medals makes them perfect for those larger events or tournaments where several awards are needed. 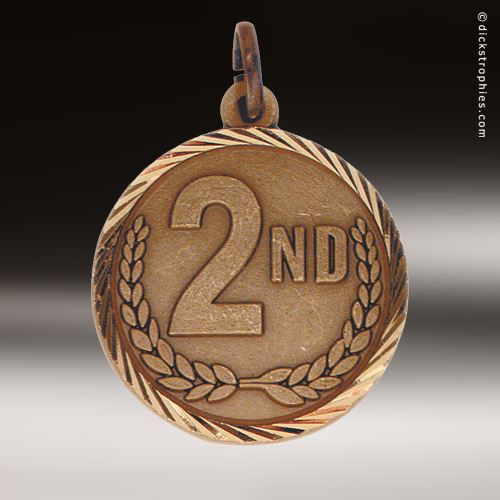 The medal features the number 3 circled by a border of stars and stripes. The ring at the top allows for a ribbon to be easily attached, and the back can be personalized for your event, or to honor the achievement of an individual. 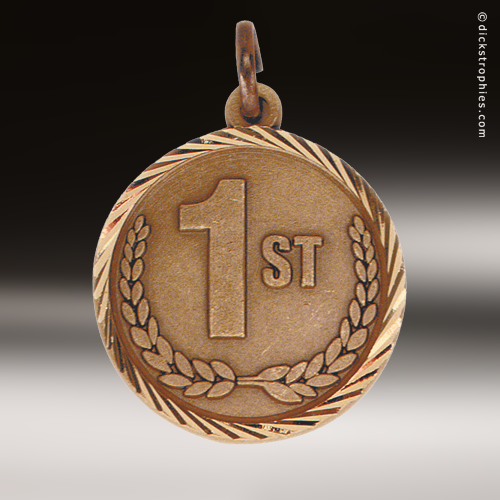 This medal is available only in Bronze. Available only in Gold, this sunray medallions are 1 1/4" in Diameter. These medallions include choice of pin drape ribbon or neck ribbon. Engraving on the backside personalizes each medallion. Available only in silver, this sunray medallions are 1 1/4" in Diameter. 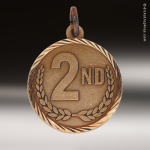 These medallions include choice of pin drape ribbon or neck ribbon. Engraving on the backside personalizes each medallion. Available only in bronze, this sunray medallions are 1 1/4" in Diameter. 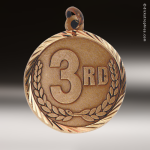 These medallions include choice of pin drape ribbon or neck ribbon. Engraving on the backside personalizes each medallion.